Interjet instructs its passengers to turn off all electronic devices prior to take off, then allows them back on, except cell phones, at around 10,000 ft. Aeromexico just tells passengers to put all electronic devices in flight (airplane) mode throughout the flight, and this includes cell phones. However, Aeromexico also instructs passengers not to use earphones or headphones until around 10,000 ft. This last is puzzling. What difference does it make? Eastern Air Lines Flight 212, crashed just short of the runway at Charlotte/Douglas International Airport in 1974 while conducting an instrument approach in dense fog. The National Transportation Safety Board (NTSB) concluded that a probable cause of the accident was distraction due to idle chatter among the flight crew during the approach phase of the flight. The FAA implemented regulations called "sterile cockpit rules" for under 10,000' where you cannot talk to the pilot except for very specific set of circumstances. By extension the flight crew tries to make themselves unavailable for trivial requests from passengers, and passengers should be able to hear instructions from the flight crew (i.e. not listening to music). At altitudes of up to 10,000' is a slow speed zone according to FAA regulation. Speeds are restricted to 250 knots (463 km/hour) . Another new one for me. DMM. First time I've sent somebody there. One way was requested out of DTW. I looked at Qatar air through Doha, too expensive and most convenient flight sold out. Went with Jetblue to ORD to pickup Emirates to DXB to DMM, reasonable price. Checked to see If I booked an A380, nope. I rarely book Saudia Arabia but if I do its allways Riyadh. There are 9 airports in the Americas, and 41 world wide. Booking just a couple days prior to travel, They only authorized coach for this guy, was dealing with a lot flights either sold out or cheaper fares sold out. Everyone I know who has been to Dammam has flown to Bahrain and driven across the causeway. 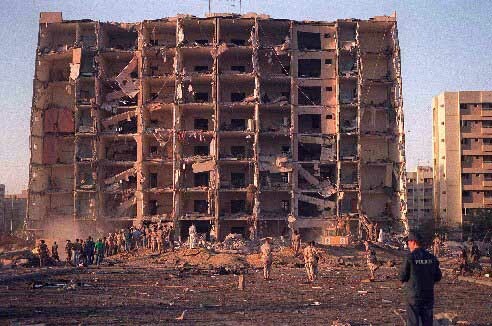 But after Khobar it was considered dangerous. At work now, taking another look at this guy going to DMM. At home my last post, I thought he was travelling in a few days, I see now its 10OCT. By extension the flight crew tries to make themselves unavailable for trivial requests from passengers, and passengers should be able to hear instructions from the flight crew (i.e. not listening to music). See, that makes sense, as do other procedures for take off and landing. The thing is these are never explained. Take the trays and seat back thing. Of course that's to keep the way clear in case of an evacuation. And that's so obvious I realized it ever since I started flying. But keeping the shades open and not using earphones seem rather pointless until I go looking for an explanation. Out of curiosity I checked United's web site for their schedule to Carmen. There's one daily flight to/from Houston. the price is over $1,000 US.